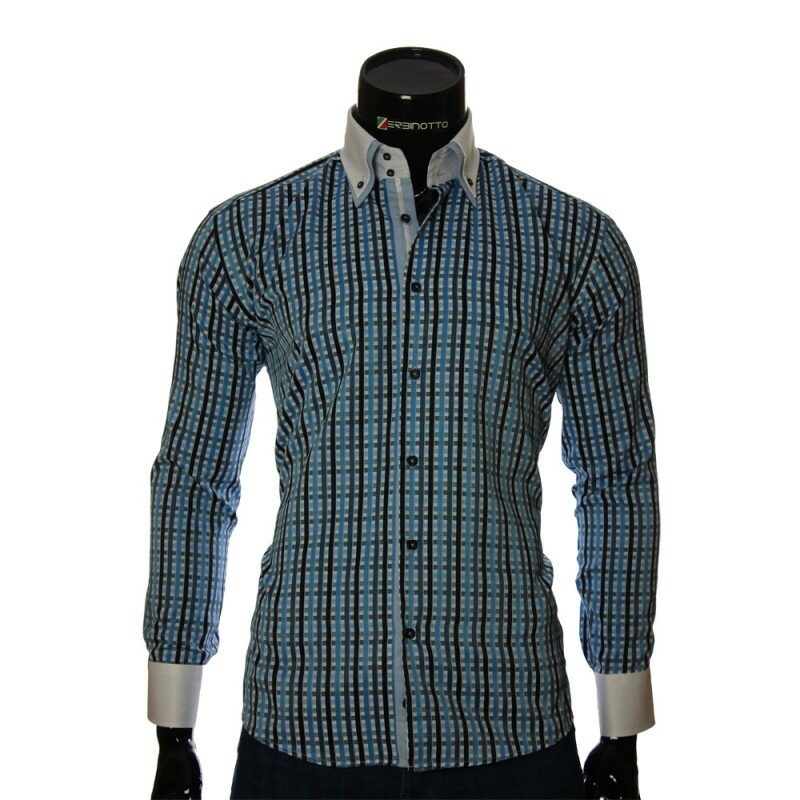 Men's white shirt in color of an indigo pattern with a double collar. 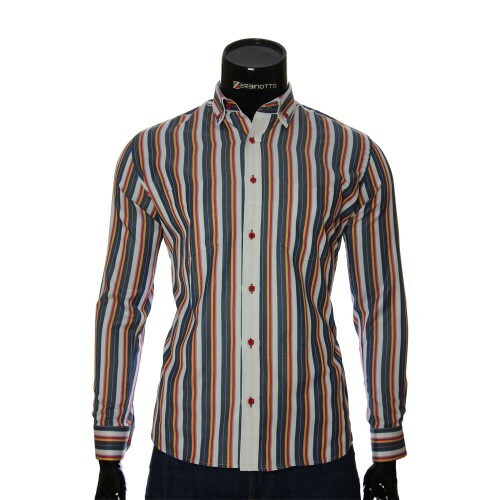 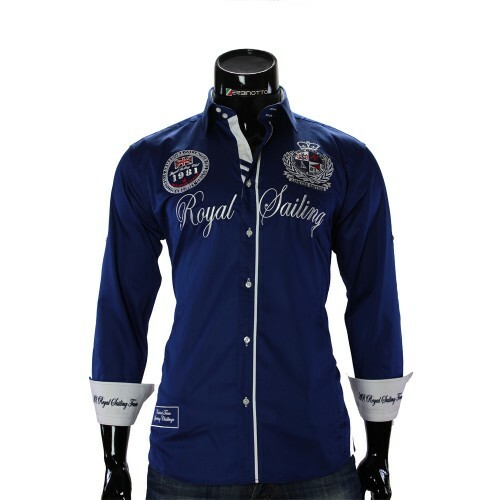 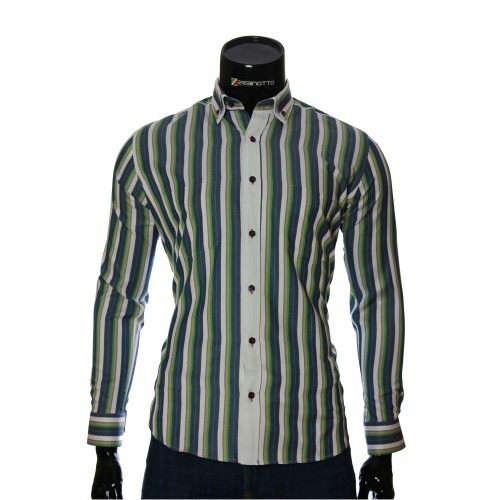 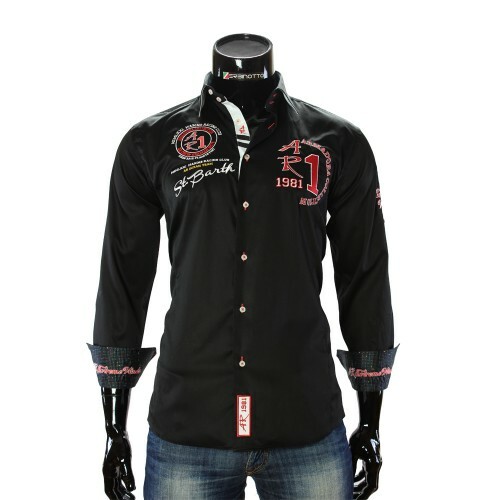 Stylish men's classic shirt with a double collar. This shirt in check pattern is great for everyday wear, as well as for visits to various events. After a working day, with the help of double-sided cuffs, a strict image can easily be turned into a more relaxed one by tucking in cuffs and rolling up sleeves.